Marcus Cicero once said “A room without book is like a body without a soul,” and we would certainly agree; rooms without books just feel empty and bare. One’s collection of books not only shows what they’ve read, it can also reveal their personality as well. 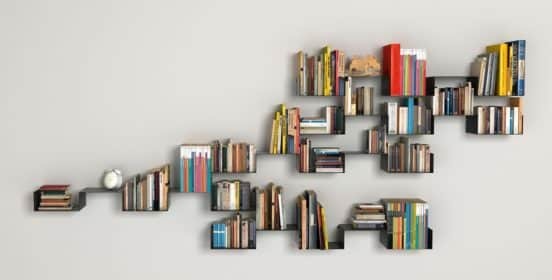 As an artist, you may not be content with just any plain MDF bookcase from the local big-box store, so we’ve gathered several creative bookcases with flair to inspire you. 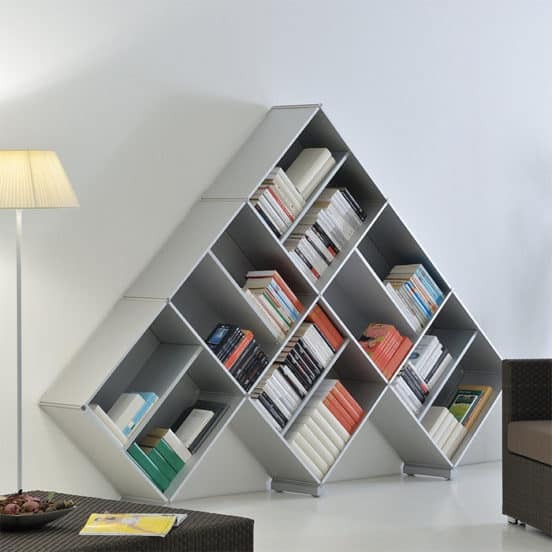 This bookcase features the design of a tree, but it’s angular not whimsical. 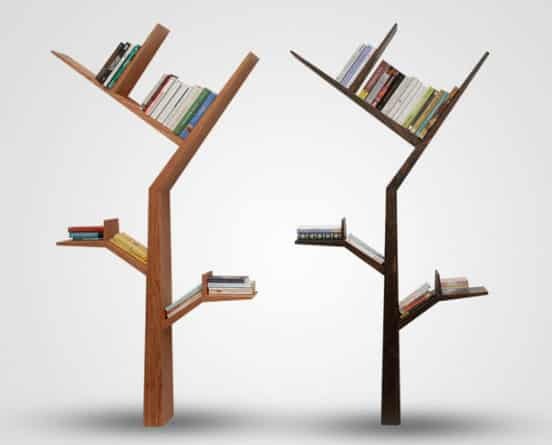 The branches hold the stacks of books neatly, making the bookcase a work of art. With a design that skews towards atomic, this bookcase is a vibrant and eclectic choice for a room with an unrestrained scheme. The shelves themselves are askew, bending every which way, and it makes for an interesting visual contrast. 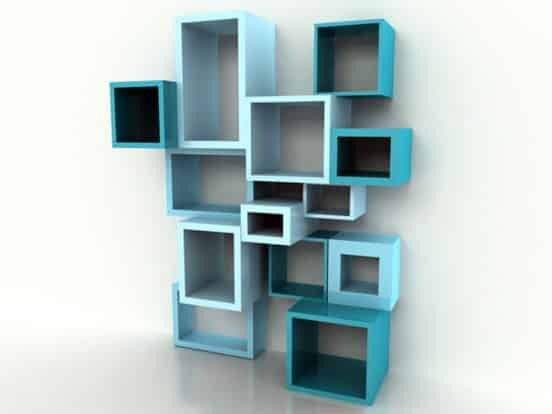 The stunning blue and cubic design for this bookcase suit it well for a creative space, school or studio. 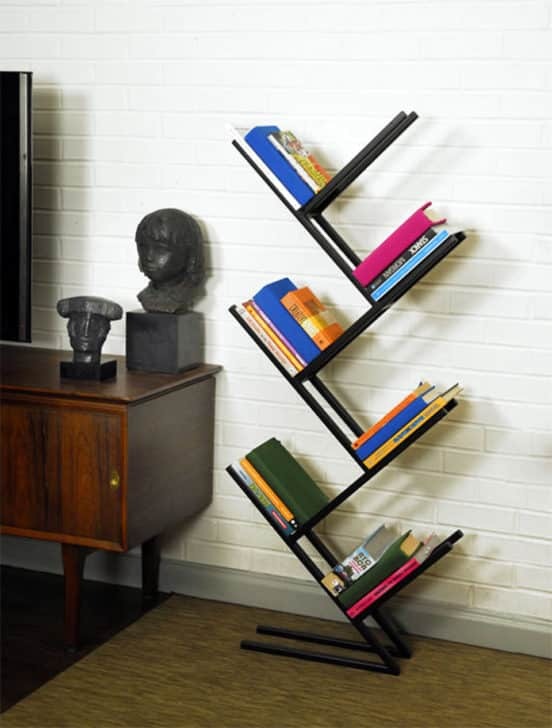 Stretched across one wall, this bookcase minimizes the need for any art and a lovely bookcase for any minimalist. 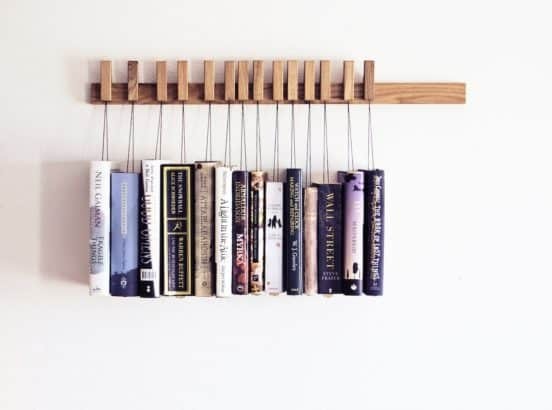 The books displayed here are on a rack, but they appear to be floating in mid-air, thanks to the clever hidden design of this small book shelf. 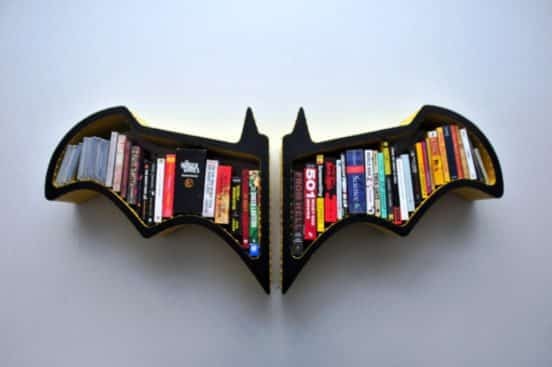 A bookcase shaped like a bat — and the Batman logo — may be a great pick for a comic book artist. 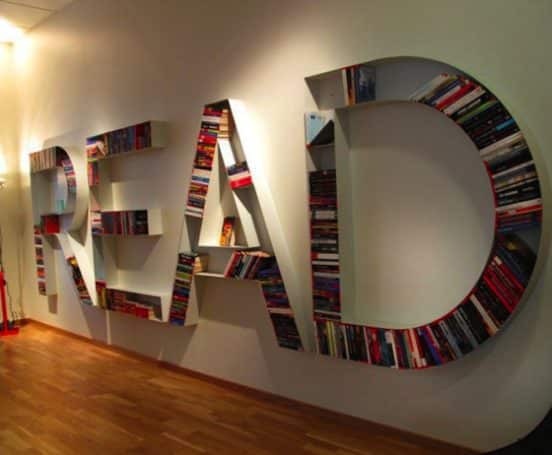 During the day, the bookcase resembles a question mark, signifying man’s quest for knowledge..but in the night, it becomes lighted art. 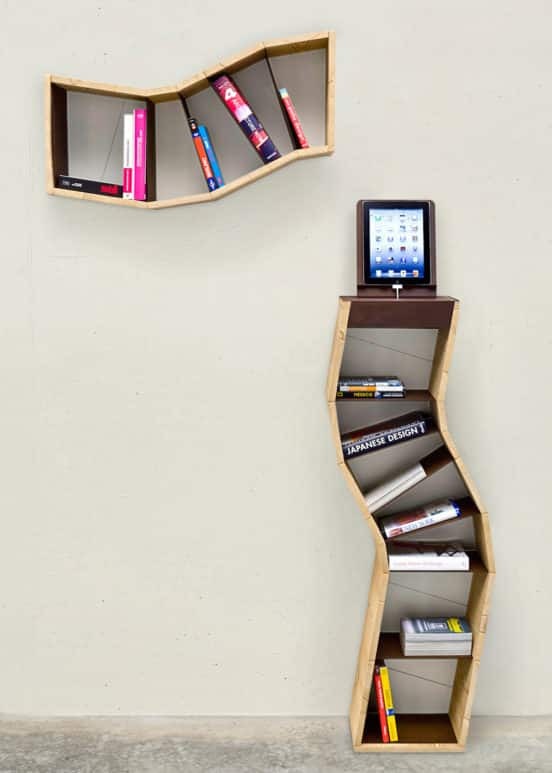 A wavy design makes this bookcase stand out, while above it floats a smaller similar design, perfect for small spaces, nooks and under stairs. 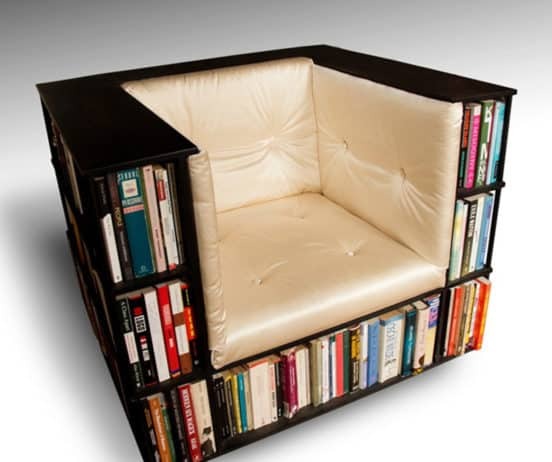 Bringing a new meaning to the word “reading chair,” this chair is an ode to reading and relaxing. 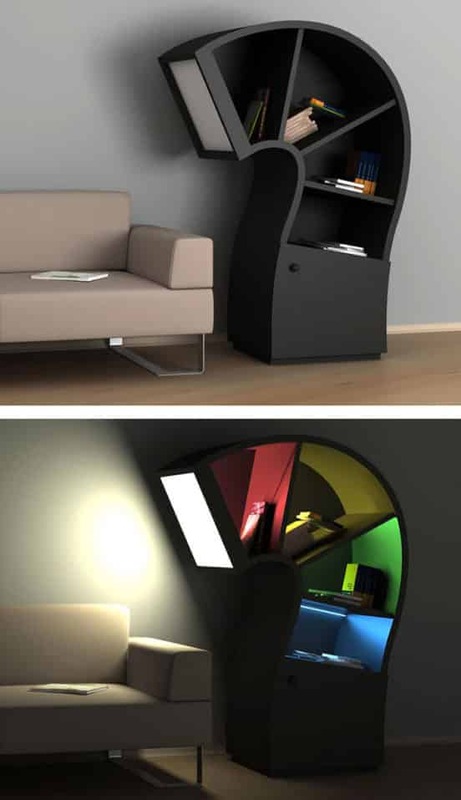 It features a plush seat to curl up on and bookcases on either side, as well as underneath. 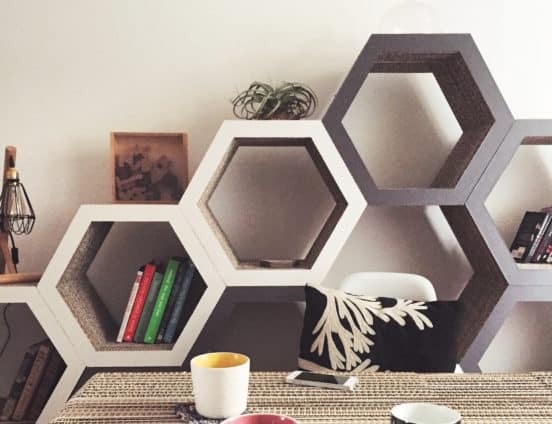 The versatility of the honeycomb bookcase makes it a great headboard replacement, especially with its deep sunk-in shelves. 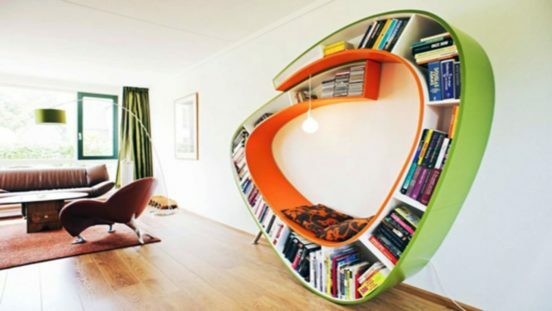 Here’s another amazing bookcase that combines sitting with reading in a circular design that’s stunning. 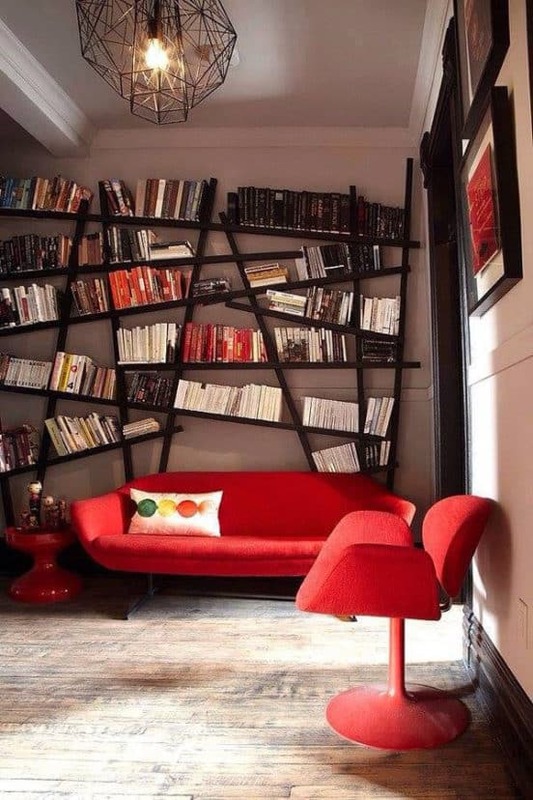 If you have a small space, but want a creative bookcase design that still makes a splash, go for this one which features an eye-catching vertical design but doesn’t take up a lot of space. 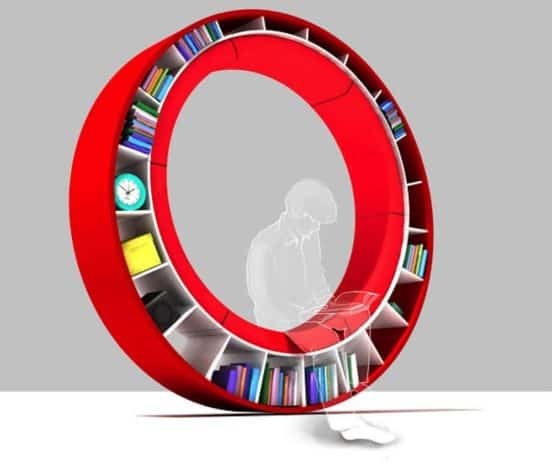 Another circular bookcase, this bookcase design features a complete circle, with 360-degree storage. Last but not least, this upside pyramid features large capacity and modern design.